The perfect accessory if you plan on keeping your board inflated on the deck of your boat. 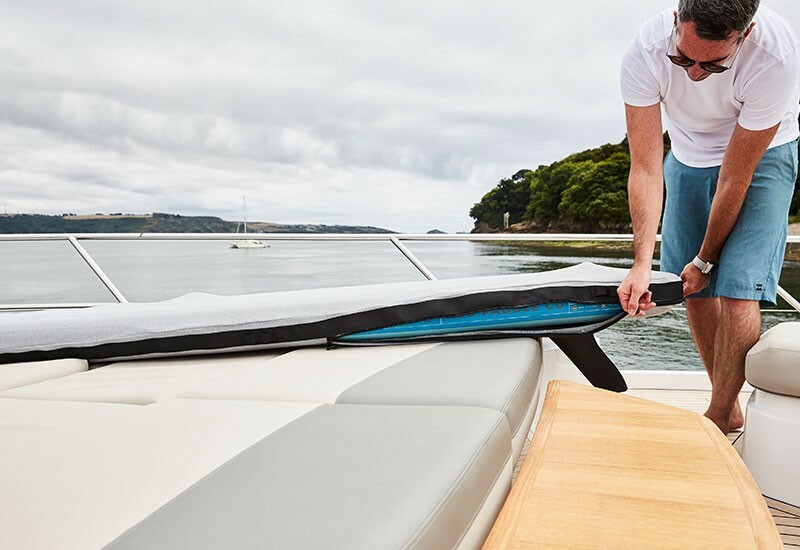 Acting as a UV shield to keep those colours looking box fresh as well as protecting your board and boat from the day to day grind of sailing. 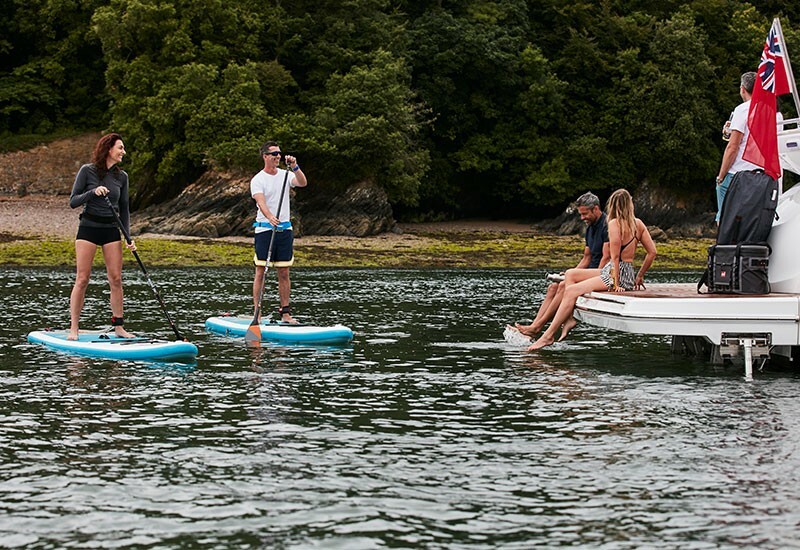 An inflatable sup is a fantastic accessory for any boat but we found that a lot of people wanted to keep their boards inflated on deck. 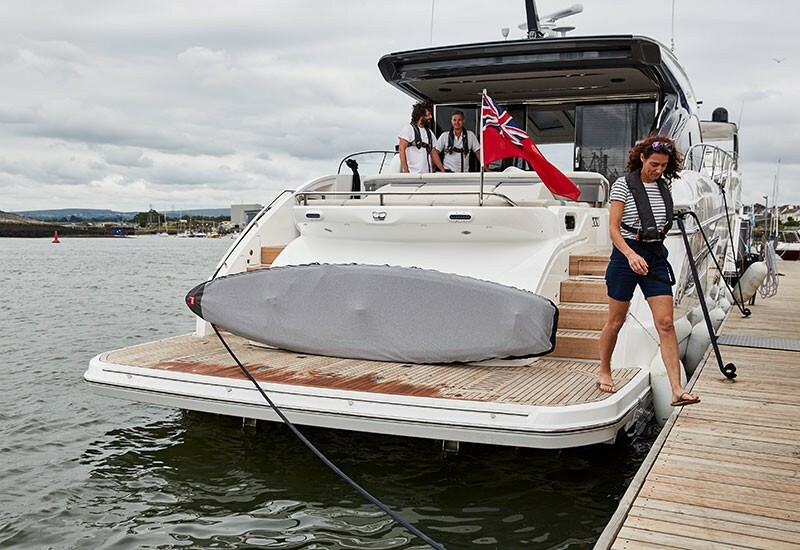 Although they are insanely durable, to minimise scuffs and UV damage whilst on board we have created a board sock to keep your pride and joy in perfect condition no matter how long you're at sea for. Daisy chain webbing along the rail makes it easy to secure the board to the railings and the tail opening combined with our UPF 50+ 4 way stretch material makes putting the sock on a breeze, no matter how much space you have on deck. To reduce the possibility or wear and tear, high impact areas such as the nose and fin openings have been reinforced. Also a great way to protect your board if you want to leave your board inflated on a roof rack or whilst you store it. Please note that although the Board Jacket will reduce the effects of discolouration of your board from sunlight, we do not recommend leaving inflated boards in high temperatures and direct sunlight for extended periods of time.